Take advantage of affordable programs and activities for all age groups. 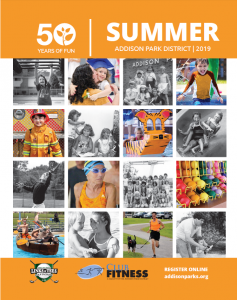 Addison Park District has engaging and enlightening programs for little ones and for the young-at-heart. Fun and learning continue after preschool class with our new Preschool Enrichment Programs, created with science, technology, pre-engineering, and math in mind. These 45-minute workshops begin 15 minutes after your child’s preschool class ends and are taught by Park District preschool teachers. A variety of science, math, art, and technology workshops are available on weekday nights for grade-school aged learners too. These programs are offered in collaboration with other area park districts and provide a chance for kids to make new friends with similar interests. The young-at-heart will find a wide variety of programs and activities through the Active Adults Club. However, you don’t have to be a club member to participate in the programs. Club members are very welcoming! Guests are always welcome to attend programs and events.